Claire Stigliani has indulged in the world of fantasy since childhood. 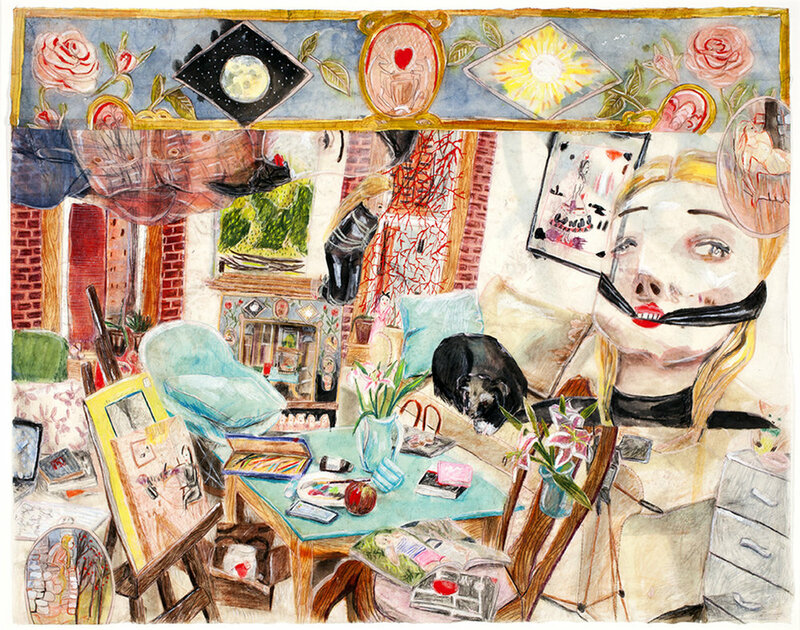 In her drawings, paintings, puppet theatres and videos, Stigliani portrays fairy-tale characters often based on herself. Together they are cast in a timeless space filled with historical portraits, literature, pop-culture, and her personal identity. Characters are often frozen within a scene that revolve around a specific theme with bits of Stigliani’s actual history sprinkled in. Within this space the artist explores ideas of femininity, beauty, desire, sexuality, artistic creation and female empowerment. Born in Alexandria, VA in 1983, Stigliani spent most of her childhood in Vienna where she read German folk tales and looked closely at portraits of Austrian royalty, now major inspirations for her work. 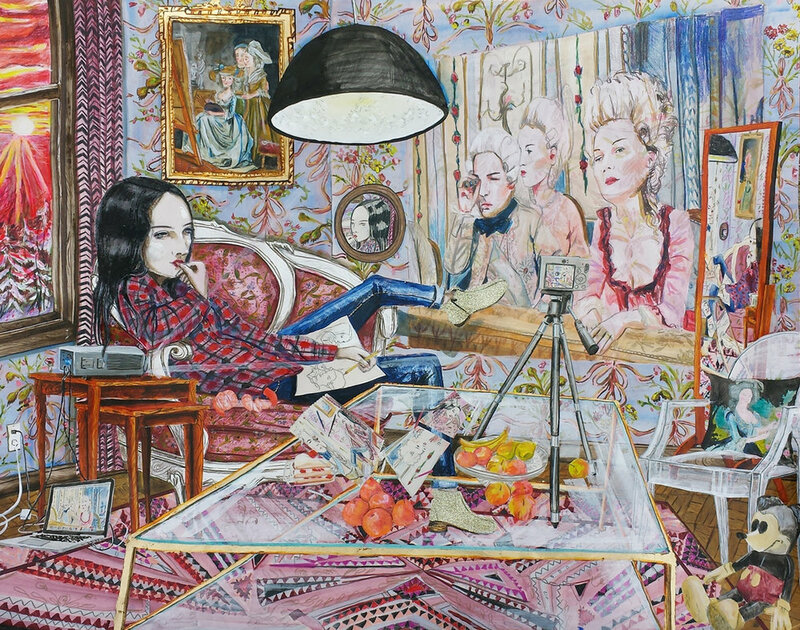 Highly regarded as an up-and-coming artist, Claire Stigliani now lives in New York City making art full-time. Stigliani received her BFA from University of Northern Iowa and her MFA in painting from the University of Wisconsin – Madison. 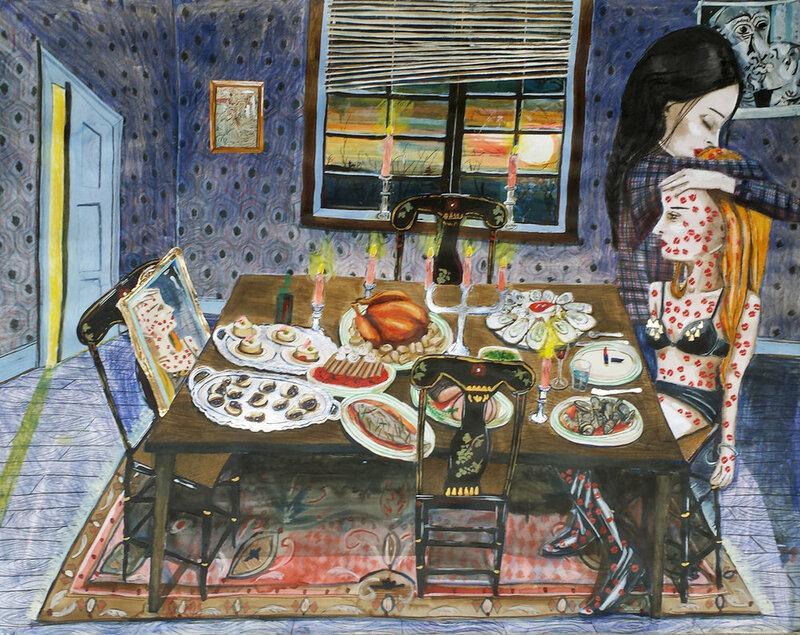 Her work is in numerous public and private collections including the Madison Museum of Contemporary Art in Madison, WI and Weissman Museum of Art in Minneapolis. She is the recipient of the 2015 Joan Mitchell Painters and Sculptors Grant.